BP was partly or even mainly responsible for the disaster in the Gulf of Mexico, but the oil giant has been well and truly screwed while in a prone position by a combination of morally challenged politicians, a blatantly flawed legal system and picked clean by shyster lawyers and their equally greedy and dishonest clients. It is under these same adverse background circumstances that Shell intends to roll the dice again in US Arctic/Alaska waters despite the run of misfortune already encountered. It could potentially result in an environmental calamity for the entire planet and the end of Royal Dutch Shell Plc. 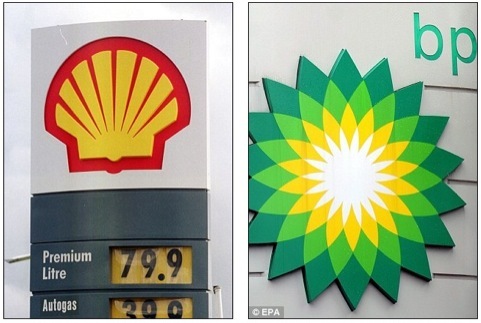 Some readers may wonder why we have today featured a New York Times article about BP’s litigation problems in the USA – “BP Accuses Texas Lawyer of ‘Brazen Fraud’ in Workers’ Claims Over Gulf Oil Spill” – when this website is focused on Shell? They provide a warning of what could happen to Royal Dutch Shell Plc and its shareholders if a disaster befalls Shell’s drilling plans in the Arctic within US jurisdiction. Despite being one of the worlds largest companies BP has been driven to the brink. Yes, BP was partly or even mainly responsible for the disaster in the Gulf of Mexico, but the oil giant has been well and truly screwed while in a prone position by a combination of morally challenged politicians, a blatantly flawed legal system and picked clean by shyster lawyers and their equally greedy and dishonest clients. It is under these same adverse background circumstances that Shell intends to roll the dice again in US Arctic/Alaska waters despite the run of misfortune already encountered. It could potentially result in an environmental calamity for the entire planet and the end of Royal Dutch Shell Plc. Posted in: Alaska, Arctic, Corruption, Environment, GoogleNews, John Donovan, Litigation, Oil, Oil Spill, Pollution, Royal Dutch Shell Plc, Shell Project Delays, Shell Project Overruns, United States.